I was really saddened yesterday when I learned that Martha Stewart Weddings will no longer publish its quarterly magazine. According to an article in the New York Post, the magazine will cease publication of the print version of its magazine but will instead move its content online. 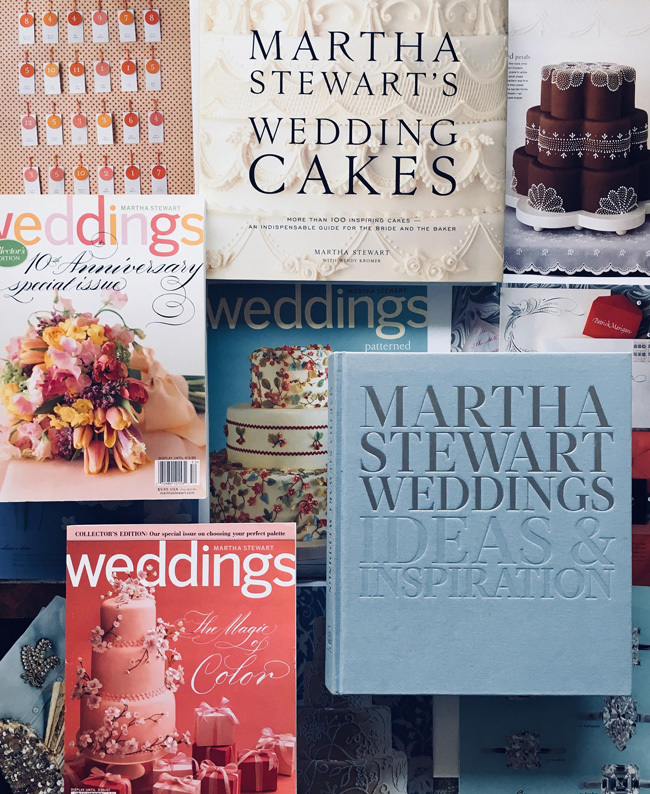 Once a year, Meredith Corp. plans to publish a special issue of Martha Stewart Weddings for the newsstand, the first of which will appear this September. Martha Stewart Real Weddings, a supplement to the main Weddings magazine which published twice a year, will also cease publication. Amy Conway, who was the editor-in-chief of Weddings, has moved to Health magazine, another Meredith title. Several other staff members were moved into other roles at Meredith but others were let go. Elizabeth Graves, the editor-in-chief of Martha Stewart Living, will now oversee the Weddings website and the special annual publication. Martha Stewart Weddings began as a supplemental special issue for Martha Stewart Living in the fall of 1995. Filled with ideas for the bride regarding all areas of wedding planning, the magazine went on to publish as its own entity in 1999 as a quarterly magazine centered on seasonal wedding themes and ideas. The magazine covered topics such as gowns, cakes, jewelry, stationery, flower bouquets, table settings, favours, etiquette, honeymoon destinations and more. I did not collect the Weddings magazine the way I collect Living, however I have purchased enough copies over the years to have amassed a full file folder of clippings: tear-sheets of my favourite cakes and flower arrangements, stationery ideas and favours. I also have several collector's editions of the magazine and some of the Weddings books that Martha published. The ideas the publication contained could always be parlayed into any celebration, whether it was an anniversary or a milestone celebration. After more than 20 years on the newsstand, it's strange to be seeing it go. I look forward to the annual issue in September. In a time of constant depressing and ugly headlines this should be seen of little importance, but it does matter. The obvious is to the magazine staff who will be losing their positions,to Ms. Stewart as this magazine was part of her legacy. It also matters as it is a loss of style, civility, good taste, traditionand simply the possibilities of beauty. Sadly it would seem that Merdith Corp is slowly dismantling all of what Ms Stewart has accomplished. Andrew, any word on the role Darcy Miller will hold at MSL? Is she loosing her job?